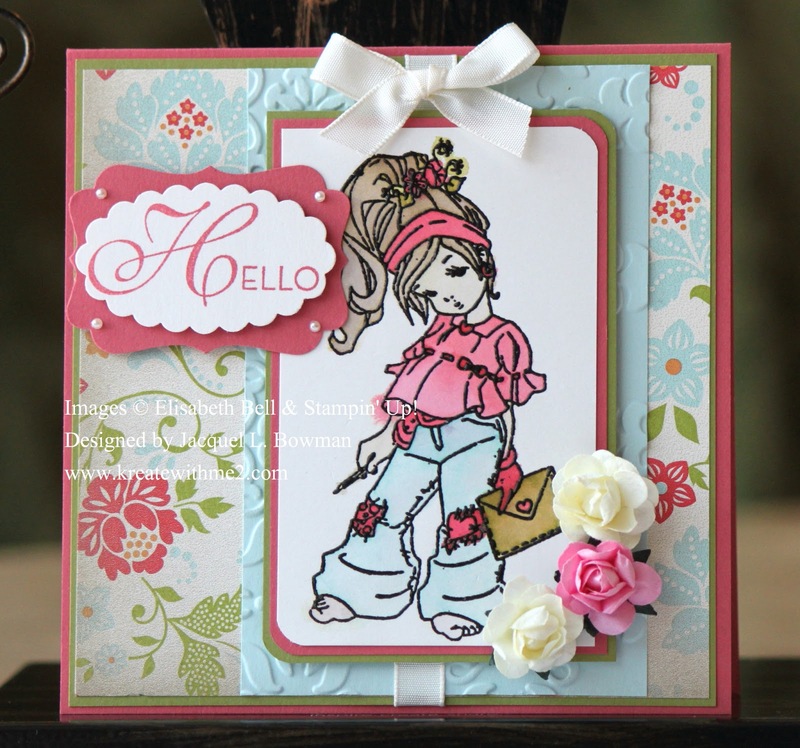 I am so honored to be the April Guest Designer for the Loves Rubberstamps Challenge Blog!!! Their challenges are so fun to play along with & the Design Team is just oozing with talent so there's LOTS of inspiration there folks! Go check them out & play along!!!!! Our challenge for you all this week is anything goes....such an easy one & everyone's favorite too!!! I chose A Pen Friend stamp to make my card for today. I used VersaMark ink to emboss her & then I water colored her in. I also found that awesome sketch that I followed & it totally pulled everything together!!!!! 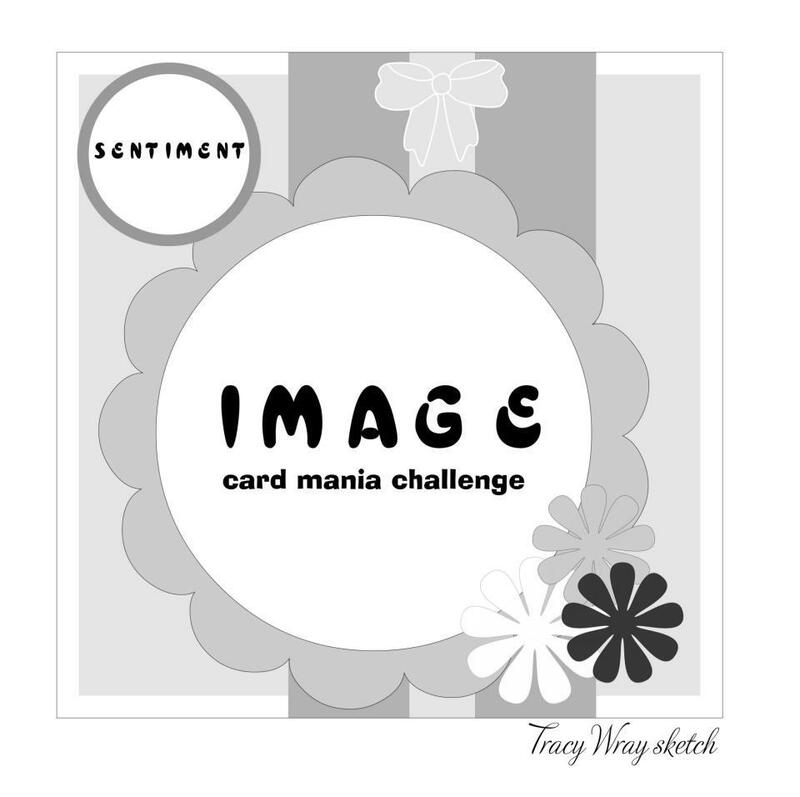 Just upload a creation that follows this week's challenge to your online blog or gallery. Then leave a link to your project in the linky widget at the bottom of the post. If you upload to online galleries, please also use the tag or keyword LRSBC46. Our challenge is open to everyone, you can use any stamps and products that you would like, and you can enter as many times as you want. One lucky participant chosen using a random number generator, will be able to proudly display our Winner's Badge on their blog! We will have two different possibilities for a gift voucher prize from Loves Rubber Stamps for the winner as well. Awesome card. I love the 2 punches together like that. Pretty Spring blossom colours Jackie,thanks so much for sharing with us at pretty Little Ribbons challenge. Lovely colors and a really sweet card! Such a cute card. Love the image and your coloring is fabulous! Great dp and layout. Vielen Dank für die Teilnahme bei der Kreativen-Stempelfreunde-Challenge. So glad you are joining us this month! Very cute card, I like your choice of colors and think you should be called "the color master". Very sweet! Oh, Jackie, this is such a sweet card. I love the soft colors used and that little girl is so cute. Thanks for sharing. Lovely card with awesome coloring. Thanks for joining us at Mema's Crafts and sharing your talent. We hope you come back often. Good luck in the draw. And we are so honored to have you! This is so adorable, I love the colors and the cute card design. Fabulous. Welcome to the team Hun. Fantastic job and love how you use the sketch. So happy to have you. Beautiful card. I love your colours. Great interpretation of the sketch. Fabulous card, beautifully coloured image, thank you for joining us for the Crafty Bloggers Network challenge and good luck. This is so adorable! The colors are stunning and you watercolor so beautifully! Great sketch too - LOL! Great minds think alike :D Welcome to our team this month! We are so excited to have you joining us! Great card, Jackie! And so spring-inspiring. Gotta love a girl who keeps her journal handy! Creative Blessings on a great week! Gorgeous! The colors and DP are so pretty. Your coloring is fantastic!! 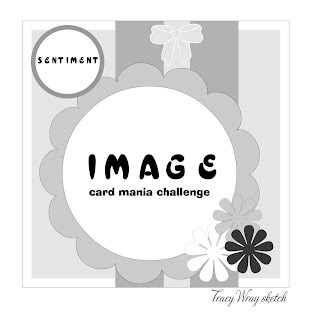 Beautiful card,Jackie!Thanks for joining us at Card Mania,this week!Good luck! Gorgeous card, and love the design. Hello.. your card is wonderful...lovely design. Thanks for joiing us at Creative Stamps Friends. Great card! That is one of my favorite SU papers. I love how you layered the scalloped oval and label. I'm going to have to steal that idea. Beautiful card, love it. Thankyou for joining us this month at Crafty Bloggers Network.